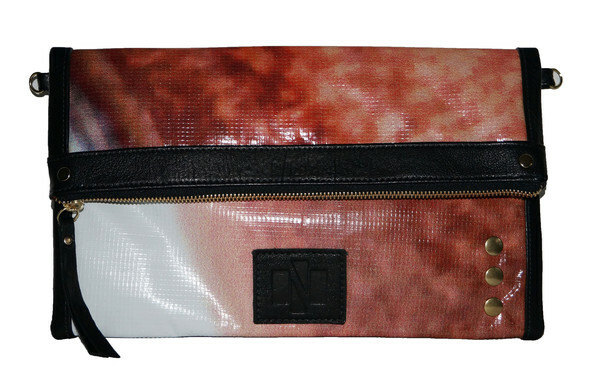 When I found out about Noubar bags from USA Love List, I just knew this was a company I had to share with you. 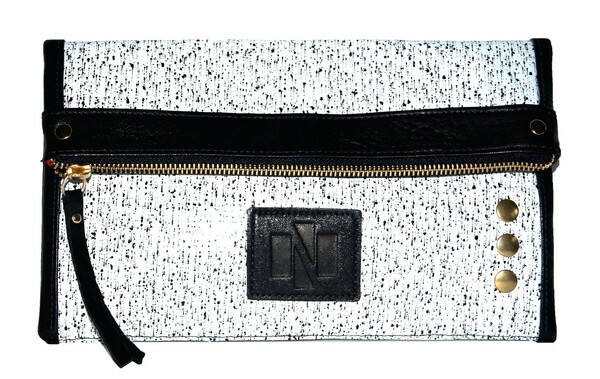 Get this: Noubar makes fantastic clutches out of old billboards. Yes, you read that correctly. Billboards. The brainchild of two sisters whose family owned and operated an outdoor advertising company in Ohio, Noubar repurposes vinyl from former ad campaigns to create stunning one-of-a-kind handbags. Since the original billboards are about the size of a NYC apartment, the images are completely unidentifiable on the scale of a handbag; instead the pixilated images create rich, powerful, dramatic color combinations. The result: little pieces of art, that are stunning, functional, and completely wearable. Noubar bags easily transition from day to night, are environmentally-friendly, made in the USA, and super-chic...what's not to love? I'm kind of dying for the black and white one. So cool. Which is your favorite? 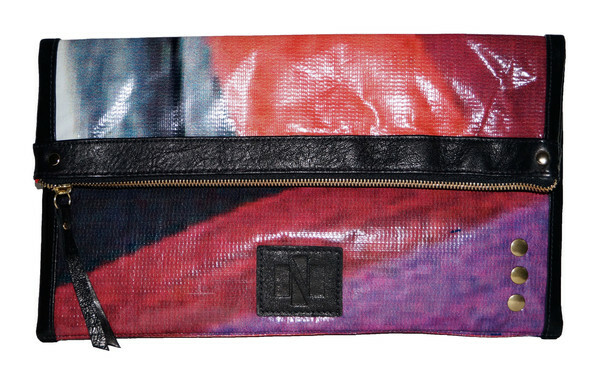 PS- "Noubar bags are proudly sourced, designed, created, and manufactured in the USA." Love that!